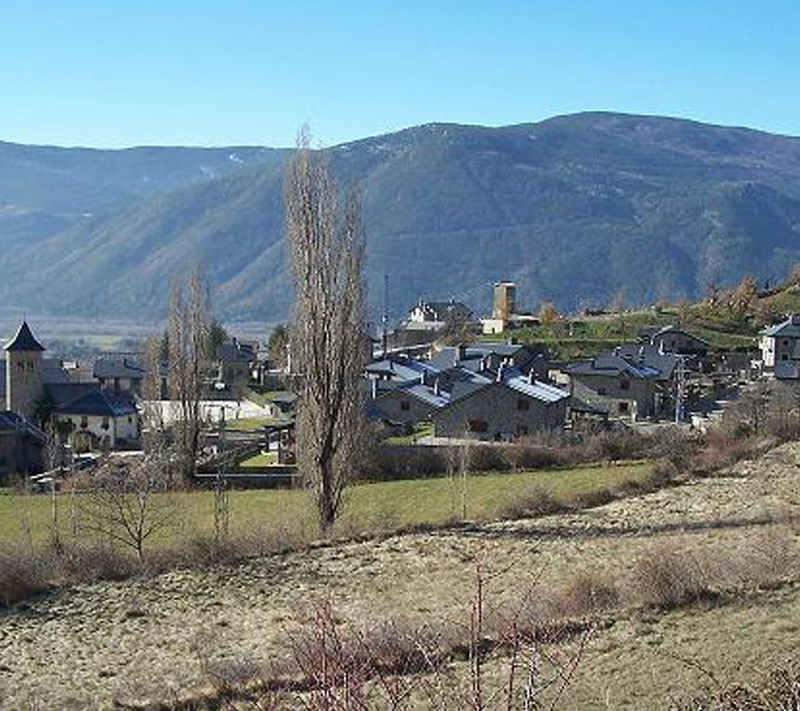 Structures such as the Neolithic dolmens in Biescas and Ibirque and the various megaliths in the Tena Valley prove that the history of mankind on this land, now called Alto Gállego, began in ancient times. However, although we cannot say with certainty to what extent the area was occupied, we know that it wasn’t until the Roman era that the first significant human settlements were established, at a settlement next to Sabiñánigo called Corona de San Salvador, in a villa located at the edge of the road that leads up to the springs in Panticosa. Later, in the 8th and 9th Centuriesa rural district known as Al-Yalliq was created. This was a time of Muslim raids, and in 781 Abd al Rahman I attacked Sallent. In 1029 García Sánchez I left the Gállego area, along with the County of Aragon and other lands, to his son Ramiro, who would become the first King of Aragon. 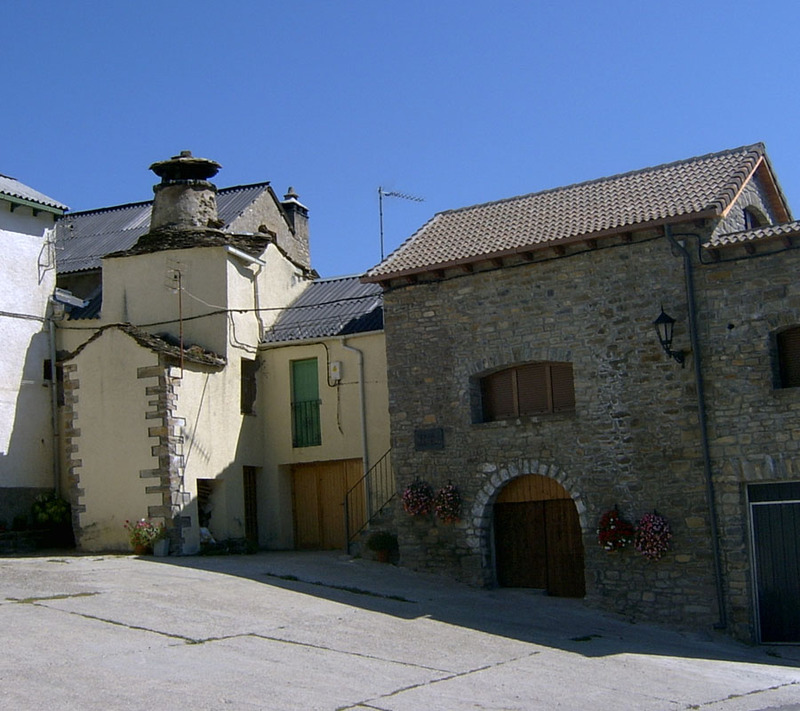 During the Late Middle Ages the feudal lords began to dominate, in particular the Villacampa family in Guarguera. These lords often ruled the people with an iron hand. The following centuries would be particularly difficult because of the effects of the various military confrontations that took place, seen in destruction and pillage and which had disastrous consequences for the region. So, from 1592 the Tena Valley was occupied for a period of time by the Lutheran Gascons; also in the 18th Century, during the War of the Spanish Succession, Austrian troops laid siege to the valley. In the 19th Century, after the War of Independence, grazing agreements known locally as “pazerias” were restored cross-border, and the first steps into tourism were taken with the establishment of the famous Panticosa Baths. 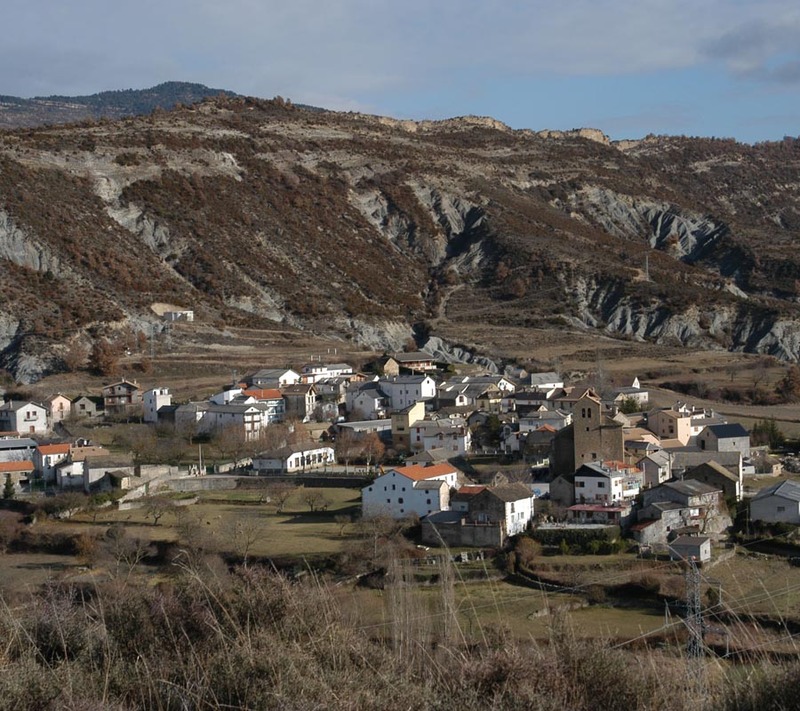 The 20th Century was marked by a demographic explosion in Sabiñánigo, thanks to industrialisation, which encouraged people to move from the villages to the town following the arrival of the railway, the construction of hydroelectric power stations in the valley and also the arrival of certain industries to Sabiñánigo. 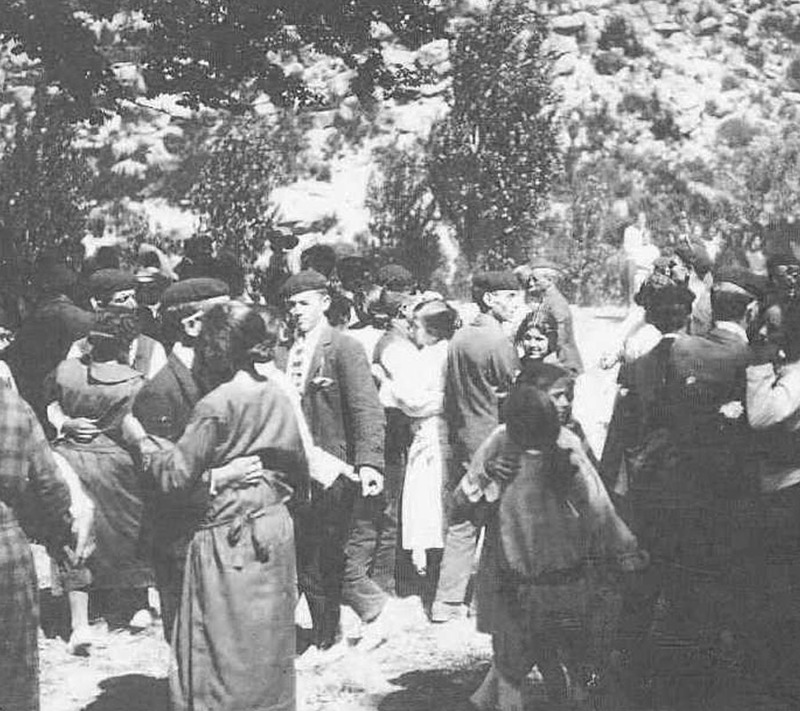 Disaster made a return visit to the area during this century in the form of the Spanish Civil War. 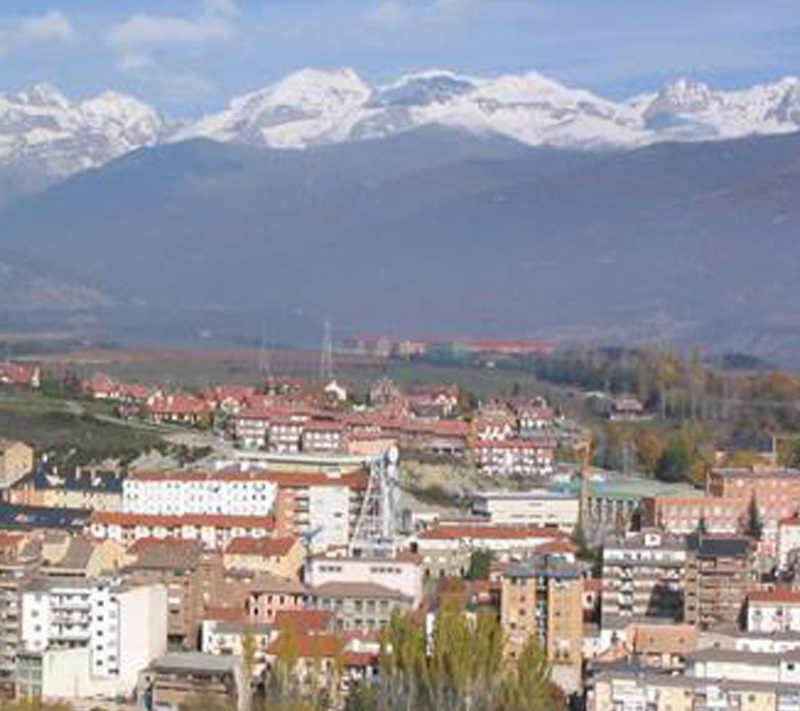 Independent of natural emigration, the war had a particularly dramatic effect on the population of the Serrablo as it is a border area. 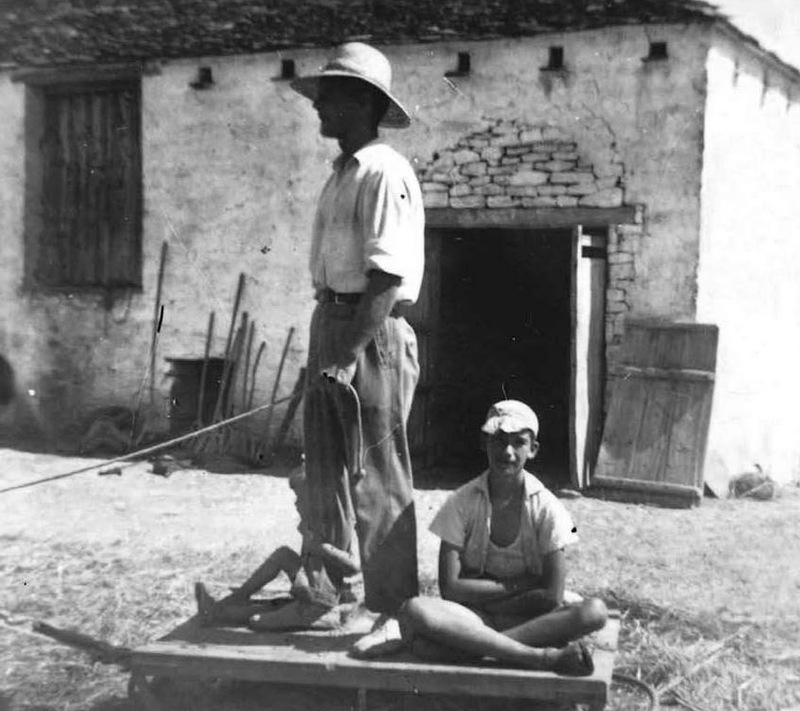 In the 1950s and 1960s the rate of depopulation rocketed and there was no one left in many villages especially around Sobrepuerto and Guarguera and, subsequently, in the Tena Valley also after a number of reservoirs were built. 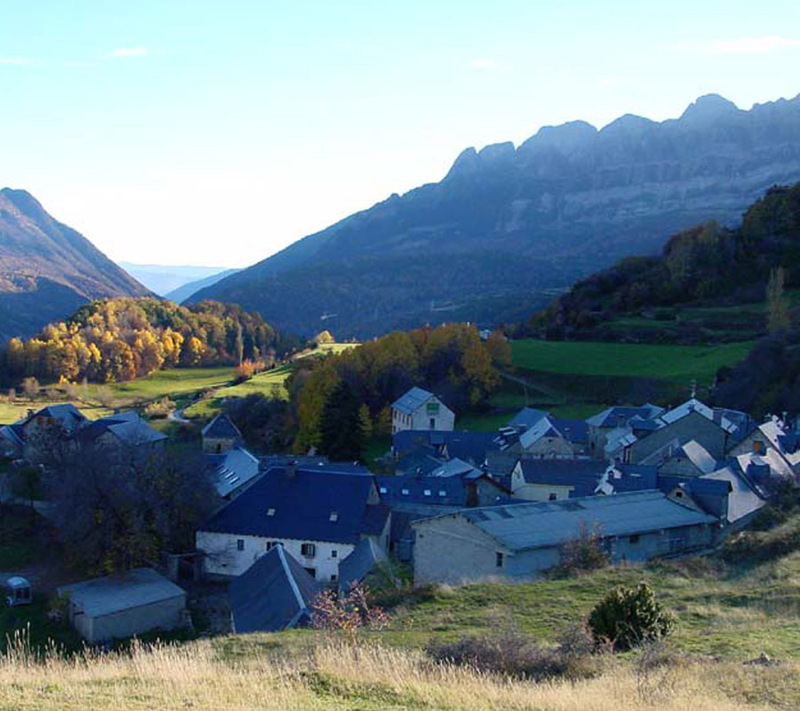 Abandoned villages is a telling sign of one of the most serious problems that this part of the Pyrenees and all of Aragon is facing today. Nowadays tourism has helped stabilise the population of the region and brought about socioeconomic renewal. 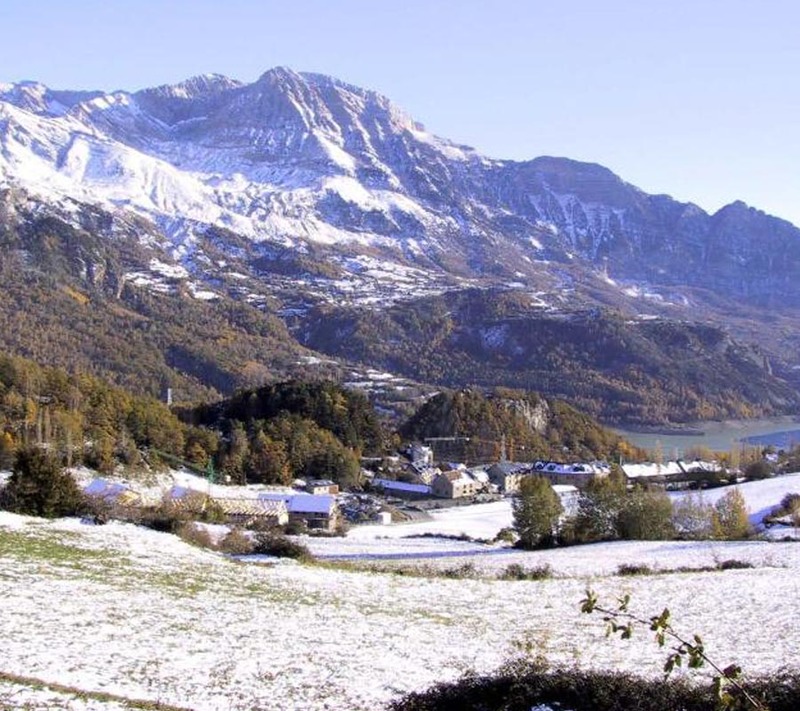 A los pies de la estación de esquí de Formigal y a pocos kilómetros de la frontera francesa de El Portalet. 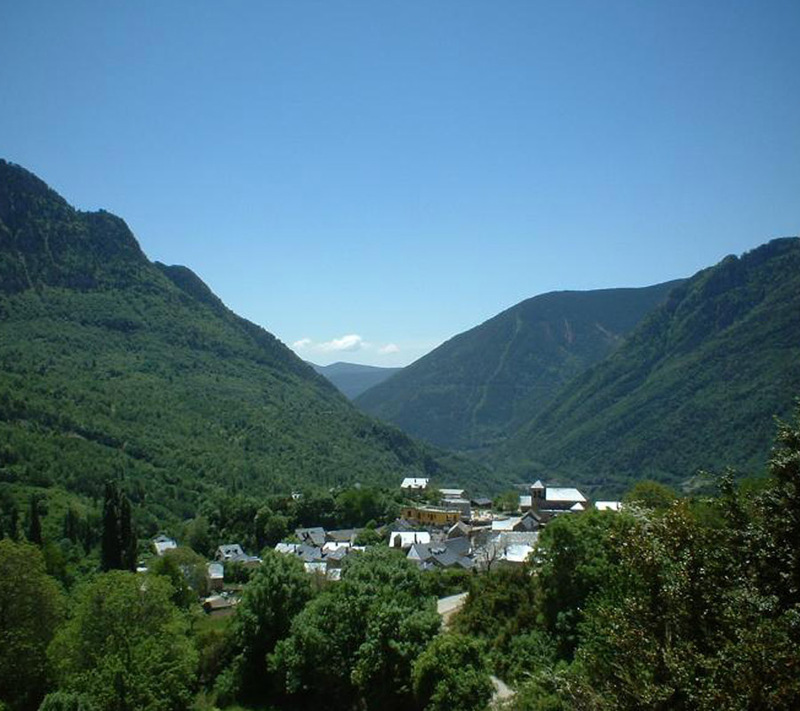 Biescas is located at the beginning of the Tena Valley at 875 m. High above an ancient glacial valley, now fluvial. 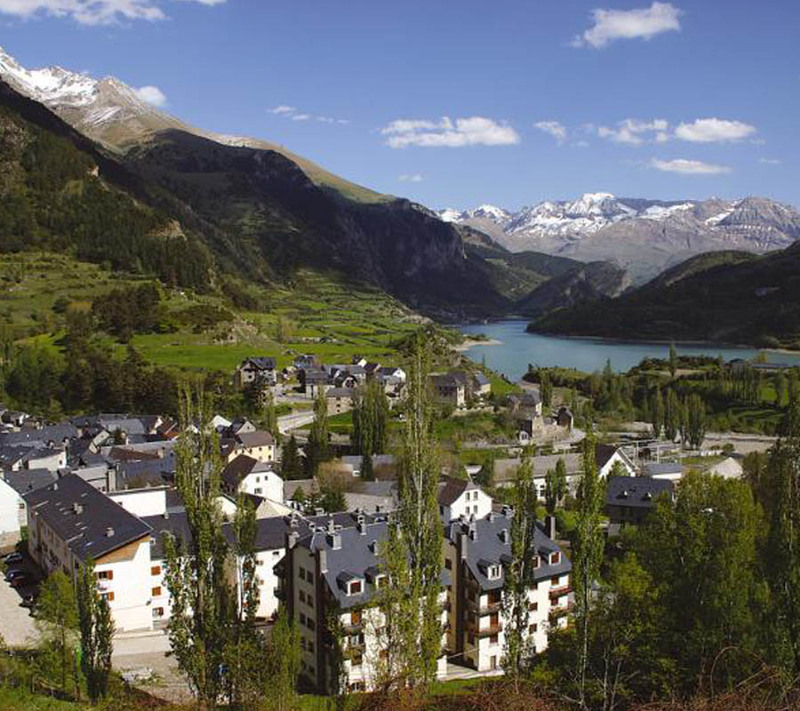 Head of the Tena Valley, it is situated at 1305 m. Of altitude, to the tail of the reservoir of Lanuza and under Peña Foratata. 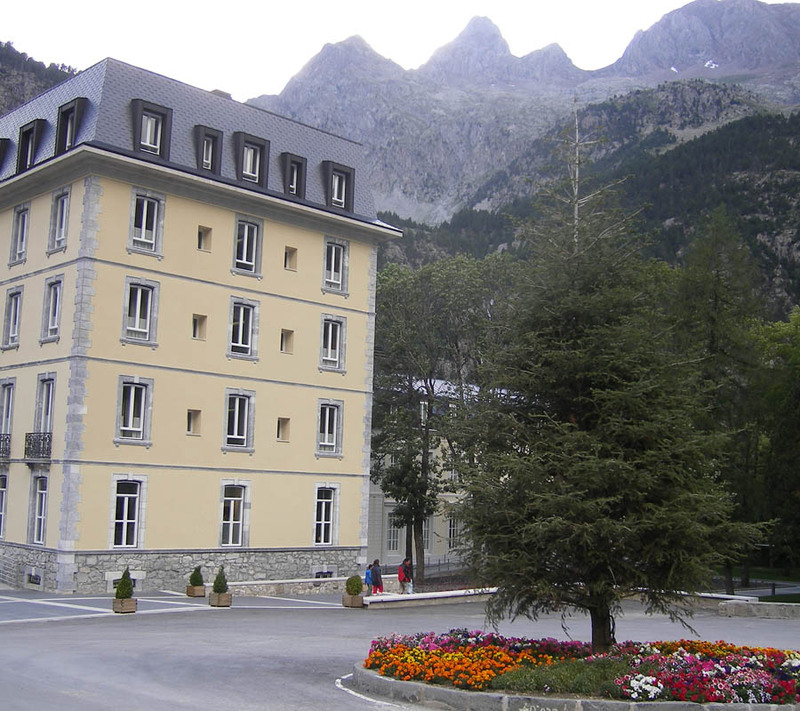 It is located at 1,281 m. Of altitude, in one of the most impressive landscapes of Valle de Tena. Small and picturesque population of about 50 inhabitants, located at 1,294 m. Altitude, at the foot of the Sierra Partacua. 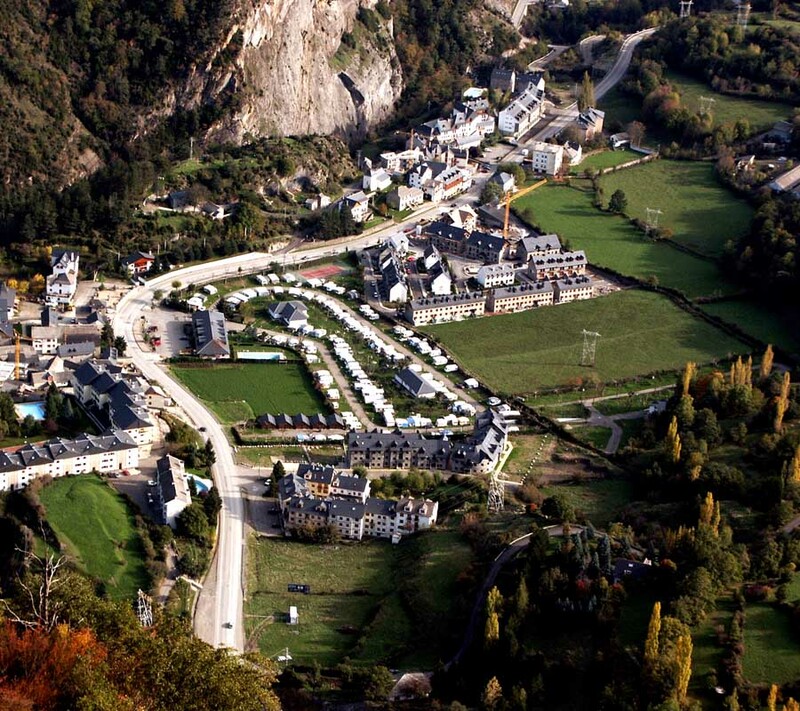 Beautiful village located at 1224 m. Of altitude. 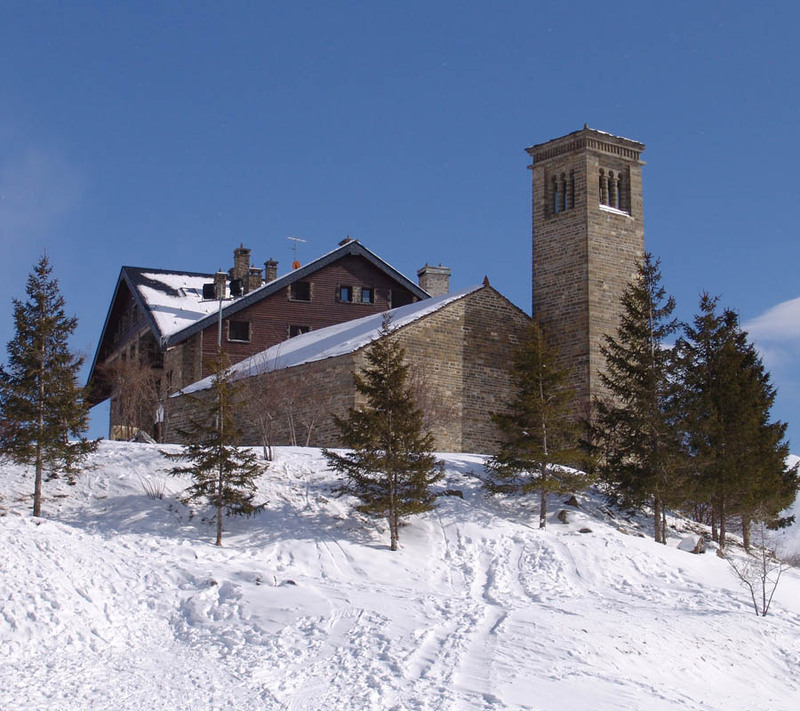 It is hidden between mounds of pine forests, oak woods and meadows, with an unparalleled landscape. 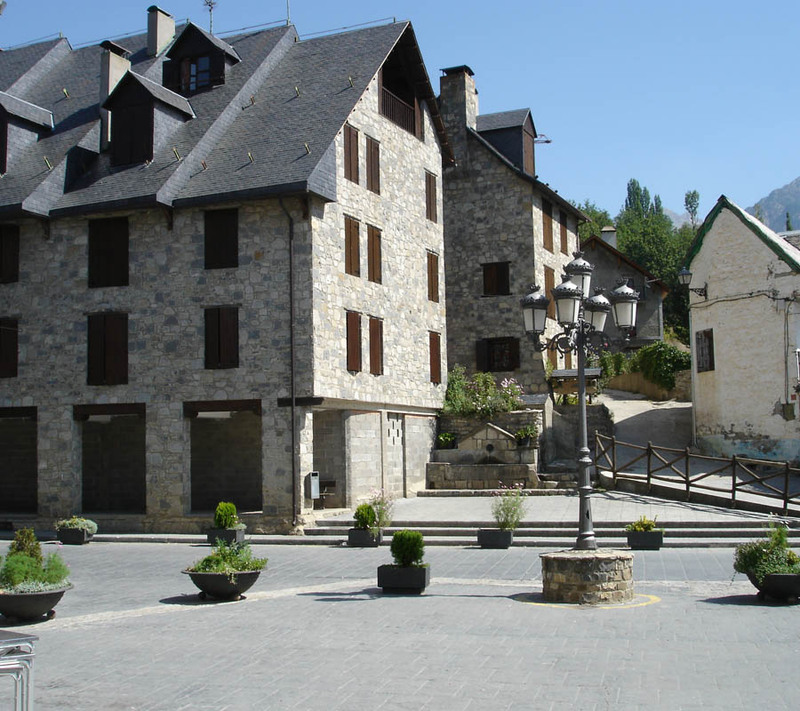 Charming villa located in the course of the Caldarés River, at 1200 m altitude. The Panticosa Spa is a privileged and unique enclave. 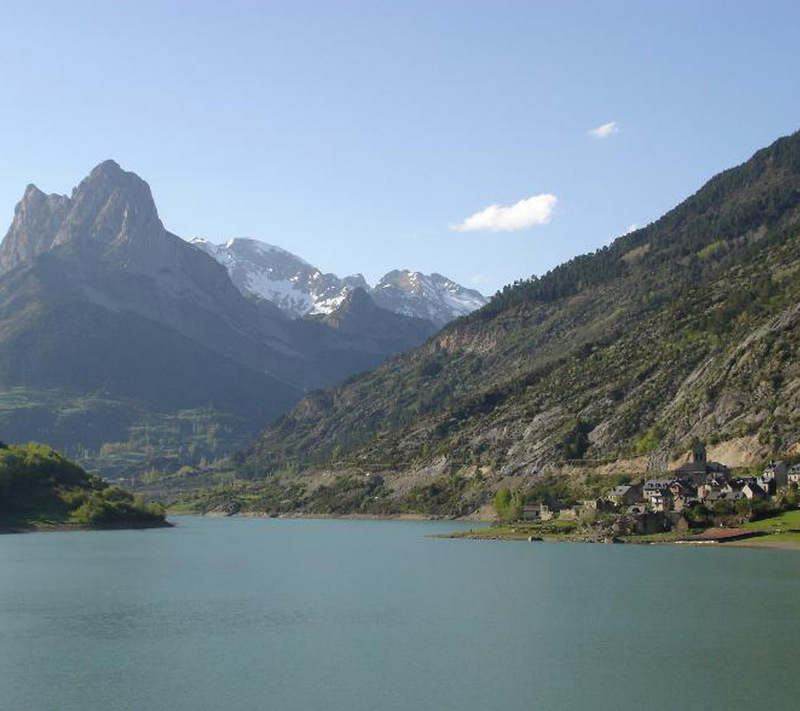 Located at 1,636 m altitude in the interior of the glacial bucket of the river Caldarés. 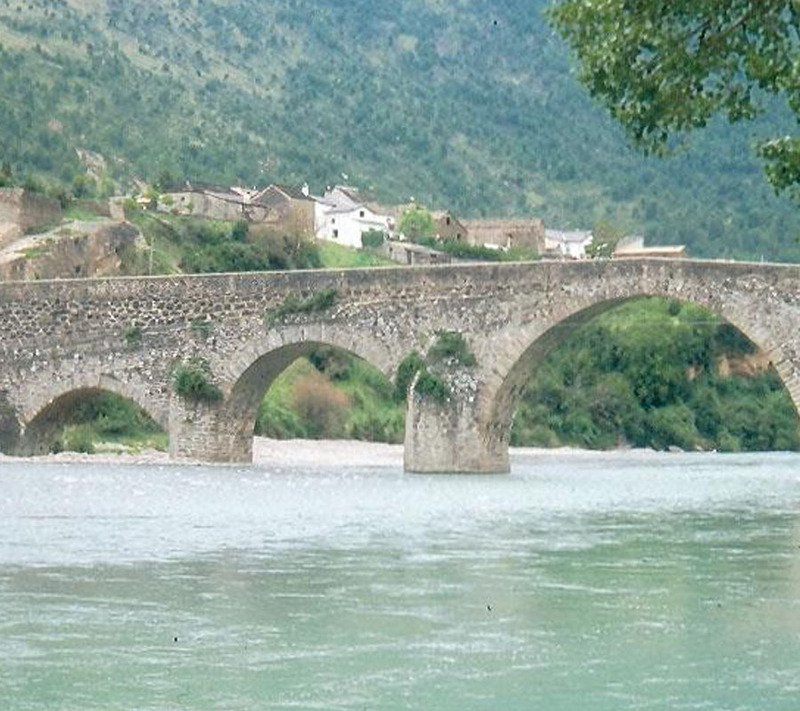 Located at 1.091 m. On the banks of the Búbal reservoir, at the confluence of the Gállego and Caldarés rivers. 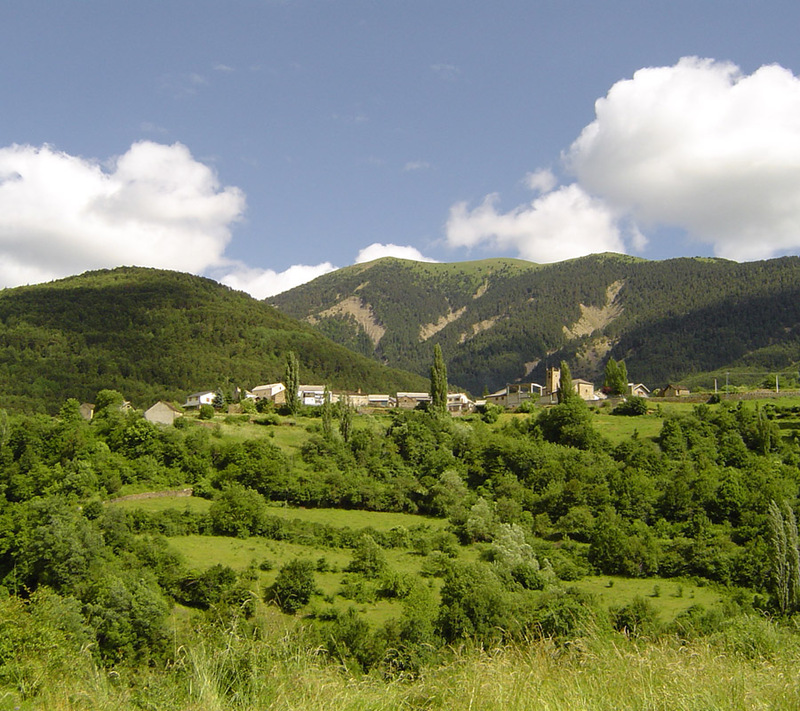 It is located to 1,132 ms of altitude, limited to the north by the Tendeñera mountain range, to the east by the port of Cotefablo and to the south by Mount Erata. 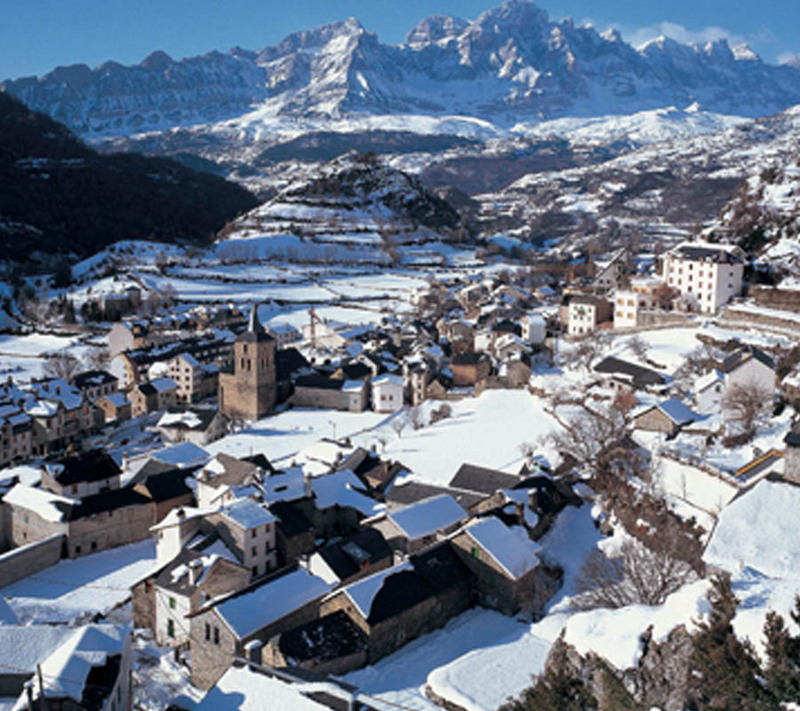 Opening to the valley of Ara and Ordesa is Gavín, at 974 m altitude, a village that was virtually destroyed after the Spanish Civil War. 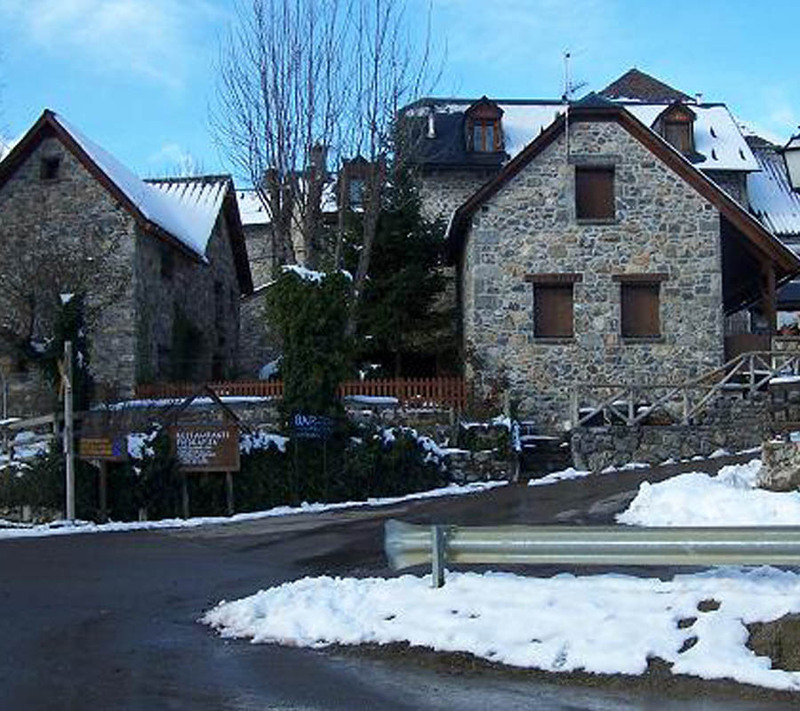 Located in the so-called Sobremonte de Biescas and at almost 1,300 meters of altitude, are the small nucleus of Aso de Sobremonte, Yosa de Sobremonte and Betés. 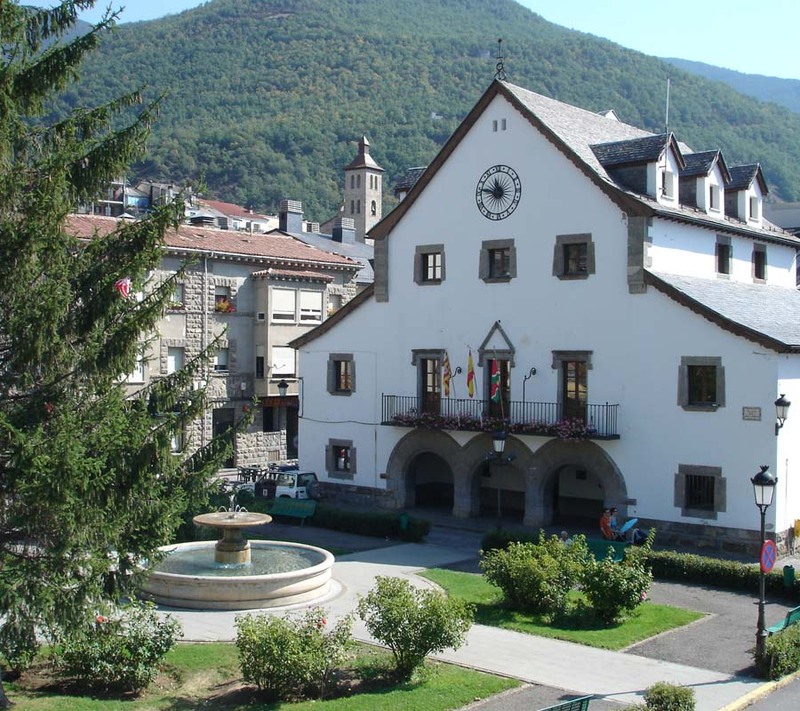 Service center, and capital of the region of Serrablo, located at 698 m.
Municipality located in the central pre-Pyrenees of the province of Huesca, belonging to the Comarca Alto Gállego. It owes its birth as an urban center to the railway, and in it is located the City Hall, which from the 60s-70s, joined Javierrelatre.